Feeding and caring for the birds around us! 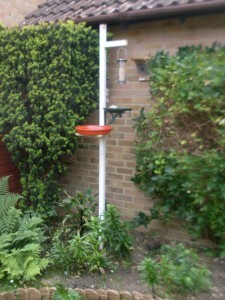 Attracting birds to your school or garden feeder may happen overnight or it can take several weeks. So, please be patient if you do not see any birds at your feeder station in the first week. However, there are several things you can do to make sure your feeding station is a success. Know which foods particular birds like to eat. If you are not sure download a copy of our Bird Feeding Fact Sheet. Provide a variety of food. 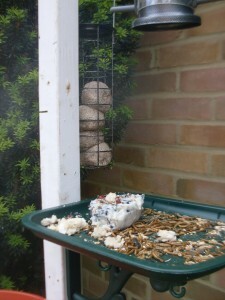 Bird feeders with seeds, nuts and fat balls will always attract birds. Position your Bird Feeder Station in a safe place. Away from where cats and other ground predators might hide. Remember to clean your bird tray and bird bath regularly. Birds will not touch water or food that has been left out after a couple of days. Locate your Bird Feeding Station close to a place (window sill, rooftop) that birds can quickly fly to to escape either a larger bird or ground predator. A good Bird Feeding Station is somewhere where birds can go to find seeds and other high energy food and plenty of water to drink. Follow the fitting instructions and it will take 2.5 to 3 hours to set-up your See Nature Feeder Station. Alternatively, contact us to book for one of our installation Engineers to visit your school to set up your Feeder Installation and live stream without any fuss! Installation costs start at just £139 plus VAT. All webcams supplied by See Nature come with a 2 year Manufacturer’s Warranty and please remember that your Webcam Bird Feeder can be converted in to a Webcam Bird Box to capture all the special activity that occurs during the nesting season. So purchase a Webcam Bird Feeder Station / Bird Box from us and give your pupils the wonderful opportunity all year round to observe wild birds close-up in your school grounds!